We are now accepting deposits for whole hogs to be delivered end of April and May 2019. Whole hogs yield approximately 140 lb. of take home meat, and are on sale this spring for $750 (regularly $850) which includes standard processing and delivery. It does not include sales tax. There is a $25 discount for hogs picked up from the farm. All the meat will come individually wrapped in easy to use portions in the cuts listed below. All of our bacon and hams are sodium nitrite and MSG free. 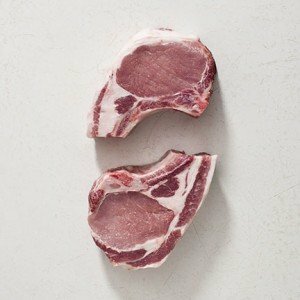 You can share a hog with family and friends, but we will only deliver to one location and the customer must divide up the cuts themselves if sharing. Ready to order? Head over to our online store! Looking for additional information on our other bulk hog options? See our pages about our half hogs OR our whole hogs for home processing! As a hen ages her eggs increase in size.